when they place their first order. 1. You cannot Refer yourself. 2. You must Refer a Friend not already in our database with a different shipping address than yours. 3. You must complete all required fields on the Referral form. 4. Your referral must be a NEW Advantage Services customer. 5. You certify that both your friend is 18 years of age or older. 6. You will receive one 10% Gift Coupon for every new customer you refer who places an order online. 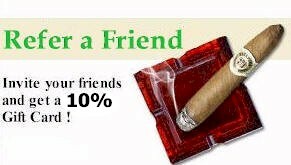 Your 10% Gift Coupon will be e-mailed to the e-mail address that you provided when you refer a friend. 7. Orders that are cancelled, rejected or returned will not qualify. 9. Your gift coupon is a unique code and is valid for one time use only. 10. Your gift coupon has no cash value. 11. You will receive your Gift Coupon after your friend's order is processed and shipped.